Catalyst CEL Fund led a USD25 million investment round with an investment of USD10 million into XJet. As part of the investment round, the Company announced the appointment of Yair Shamir, Managing Partner of Catalyst CEL Fund, as Chairman of the XJet. Other investors in the round included Autodesk, Inc. (NASDAQ:ADSK) a world leader in 3D design software in the engineering and manufacturing industries as well as existing shareholders. The current round of funding will be used to complete the development and for XJet’s global product launch. With a decade’s-worth of research behind it, XJet’s technology is redefining the metal additive manufacturing arena by bringing new levels of detail, quality and speed to the production of metal parts, and increased safety by moving away from potentially hazardous powder-based metals to liquid metal inks. XJet’s patented NanoParticle Jetting(TM) technology makes use of solid metal nanoparticles within a liquid suspension, liquid “ink”. Delivered as sealed cartridges, these materials, as well as the support materials, are loaded easily by hand into the XJet system, eliminating the need to handle metal powders. 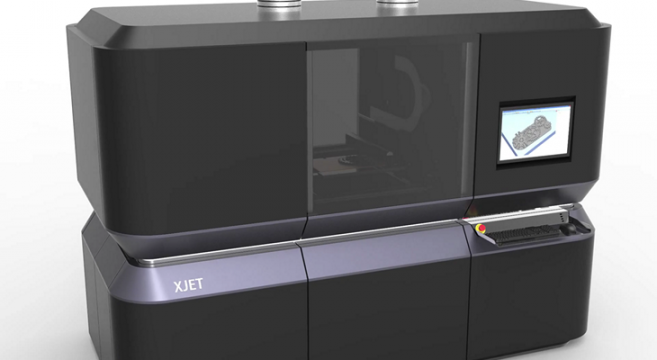 XJet’s system print heads deposit an ultra-fine layer of liquid droplets which contain stochastic metal-nanoparticles onto the system build-tray. XJet was founded by Hanan Gothait, a serial entrepreneur and veteran of the inkjet printing industry. Gothait was a co-founder of Objet Geometries, which later merged with Stratasys. Established in Rehovot, XJet has 66 employees and boasts 50 multidisciplinary R&D specialists and has filed more than 50 registered and pending patents. The Company will officially launch its technology in the US at the RAPID conference in Orlando on May 17th 2016, and later in the year at a major tradeshow in Germany.